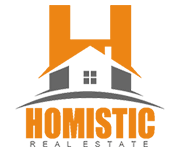 204 Morris AV Pawtucket RI 02860 | Homistic Real Estate, Inc.
AS IS HUD Home in the Fairlawn section of Pawtucket. Features include, spacious units over 2000 square feet of living area, three beds unit 1 and two beds unit 2, gas connected, attic storage, large fenced-in yard, one-car garage, vinyl siding, plenty of parking, and convenient location only about 5-7 minutes to 146 N/S or 95 N/S! Enjoy other benefits of the location close to parks and recreation and only about five minutes to Lincoln Woods Park and Twin River Casino. Enjoy golfing at Louisquisset Golf Club only about 12 minutes away. Also enjoy close proximity to Mineral Spring Avenue restaurants, conveniences, and shopping. Could be an excellent opportunity for rental income or investment! Eligible for FHA 203k financing. BLB Resources makes no warranty to the existence of mold in the property and is not liable for potential harmful effects. No smoke certificate will be provided by the seller. FOR SHOWINGS, USE SHOWINGTIME. DO NOT CALL SHOWINGTIME. SIMPLY CLICK THE SHOWINGTIME BUTTON ON THIS MLS SHEET. FHA CASE#:451-085358, IE-TBD, LBP, Avail. Beg 04-19-19. Bids due daily by 11:59pmCST until sold. Seller will not provide a smoke certificate.